Last week, we sat down with Florida rappers Underdawg Slim and Boushea for an exclusive “Off The Porch” interview at our Atlanta offices. During the conversation, we talked about the destruction in their home town of Panama caused by Hurricane Michael this past October; Boushea reveals that half of the roof on his home was blown off during the storm. 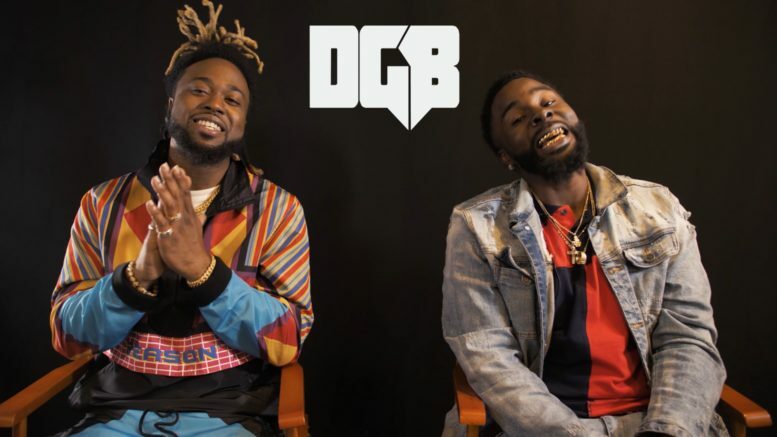 Slim then talks about what it was like growing up in Panama and Boushea talks about the difference between growing up in St. Louis and living in Florida (southern hospitality). They also explain how they got into music (Slim’s dad was in the band and he also played the sax in school) and how they linked up to start their label, 3rd Coast Ent. Slim talks about his new project “The Kome Up” featuring his new single “Bizznezz”. And lastly, Boushea talks about his goals for the label and much, much more. Be the first to comment on "“Off The Porch” w/ Underdawg Slim & Boushea"